From the year 2015 onward the Battle of Boqueron in Paraguay falls on September 28th each year. Prior to that the day was celebrated on September 29th each year. People celebrate with parades and other festive events. Battle of Boqueron Day is a national holiday with business and government offices closed. The Battle lasted from September 7th to September 29, back in 1932 and was over the outpost of Boqueron that was occupied by the Bolivian Army. 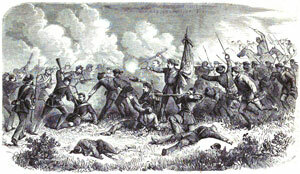 After amassing several attacks the Paraguayan Army was successful in pushing back the Bolivian Army and taking Boqueron.